Pony Club is a fun place where all students can interact socially and grow as they discover a common interest in horses. Our students gain a well rounded horsemanship education while working, helping and even teaching each other students. Students gain hands-on experience and in-depth instruction on a variety of equestrian topics including vocabulary, theory, tack, disciplines, grooming, facilities, medical and hoof care. Students will be responsible for the care of the program horses and learn what is necessary in the day-to-day care and management of equines and the facilities necessary to horse keeping. Pony Club’s curriculum also gives students who wish to one day own a horse the background education necessary for safely seeing to a horse’s proper care and maintenance. 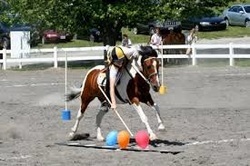 The Pony Club is designed as a fun and curriculum based educational horsemanship experience. The goal of Sun Valley Saddle Club is to create knowledgeable and safe equestrians who appreciate the responsibility inherent to working with horses all while maintaining a fun and social environment that encourages personal growth and a lifelong commitment to learning. Horses teach leadership. Riders must form a fair and firm leadership style in order to gain a horses trust and respect. Pony Club also presents our older students with the opportunity to teach the younger students while under supervision of an instructor. This has the benefit of allowing the students to gain the confidence necessary to take on leadership roles while furthering their education. 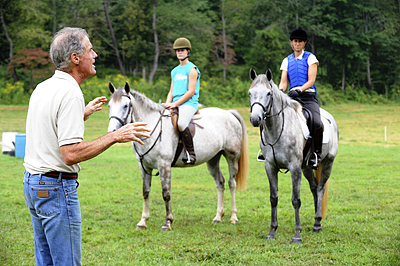 Our program is designed to give our students a theory education into the mind of the horse. Students will learn to appreciate the response and reasoning that these animals employ and through this education will know the proper human response to avoid, predict or control potentially dangerous situations. Pony Club is not just for kids anymore! USPC has developed the Horsemasters Program for Adult Volunteers. The program allows adults the opportunity to learn from the Pony Club curriculum, expanding their own knowledge and skills, whether it be in riding or Horse Management. CANCELLATION POLICY: There is no refund to participants who cancel within 24 hours of the program’s lesson. We reserve the right to cancel any class due to low participation within one week of the scheduled class. You will be contacted and a full refund will be forwarded to those who have paid.